Even people who don't have a weakness for sports cars can sense the special aura in every Lamborghini model. From the Miura that is as graceful as a gazelle to the futuristic Countach with its sharp lines, all of the cars with the raging bull emblem are united by their somewhat extravagant, exotic, and expressive style. 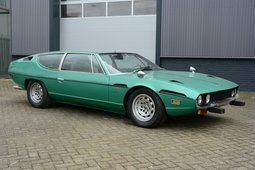 The Lamborghini Espada is no exception – this is a truly special model, but the car's unique extravagance can spark mixed feelings. 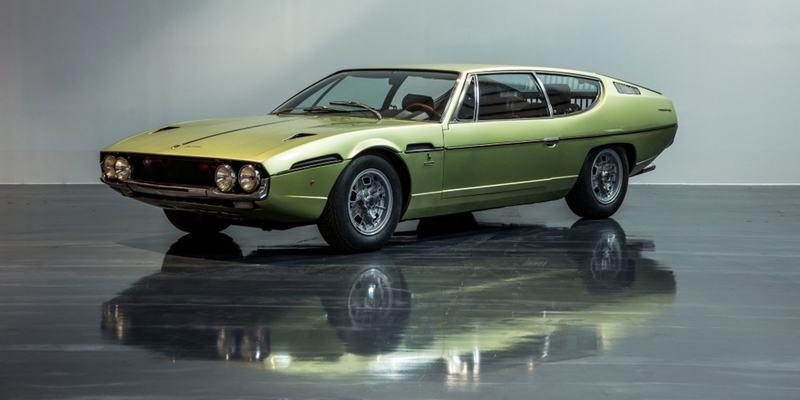 Lamborghini introduced its first four-seat GT in 1968 with the resounding name of Espada – as was the case with most of the manufacturer's cars, this name, which means "sword" in Spanish, was associated with the corrida, toreadors and raging bulls. Marcello Gandini, the renowned car designer from Bertone who also created the look for the Miura and the Countach that we already mentioned, was in charge of the Espada's unique design. However, if these two cars can easily be called some of the best looking Lambos ever, the four-seat coupé, aside from praise for its courageous, sensational design, would probably also receive some other epithets, from interesting or unusual to somewhat unsightly. The Espada's design was inspired by an earlier Gandini model – the Lamborghini Marzal concept with glazed gull-wing doors that was first presented at the 1967 Geneva Motor Show. Even though the gull-wing doors did not become a part of the production model, the Espada still inherited quite a few interior design ideas and body lines from the Marzal concept: the wedge-like nose, the huge convex windscreen, the horizontal rear wheel arches and the barely slanting roof line that made the rear of the car seem disproportionately high, with the low bottom line of the windows strengthening this impression even more. The not-so-harmonious proportions of the profile drew attention and made eyes turn – just as they say there is only one step from love to hate, this car that at first glance looked like a hodgepodge of ideas and lines could also suddenly become a miracle of the car industry – and, of course, Bertone – in the eyes of the viewer. 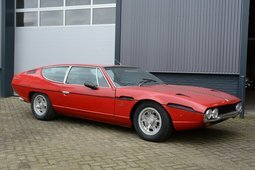 And even if you can debate the appeal of the exterior until you're red in the face, the Espada's interior definitely must have captivated even the greatest sceptics. Four huge leather seats that looked like arm-chairs, octagonal speedometer and tachometer frames, and an enormous, slightly convex steering wheel that would be crazy nice to grab when you're settled in the driver's seat – the first-generation Espada S1 could boast of a truly luxurious interior, even if it was minimalist. It was the design of the interior trim that changed the most over the decade that the Espada was in production – the second series got a wooden dashboard and wood trim, while the driver's seat in the Espada S3 was reminiscent of a cockpit, where all of the dials and most of the instruments, including the radio, were mounted on the dashboard next to the steering wheel. 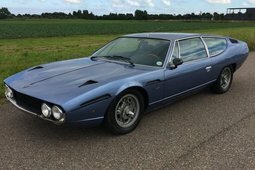 The interior wasn't the only thing to get changes in the updated Lamborghini Espadas – power steering was offered as an option for the S2 that came out in 1970, and the Espada S3 gave buyers the choice of a five-speed manual transmission or a three-speed automatic. However, not even the luxury of the interior or the comfort created for long trips along the scenic roads of Italy could let you forget about the 3.9-litre Lamborghini V12 motor roaring up front. 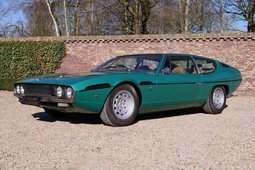 The 325 horsepower under the bonnet let the Lamborghini Espada S1 accelerate to 100 km/h in 6.5 seconds and hit a top speed of almost 250 km/h that confirmed the manufacturer's name and reputation; meanwhile, the S2 model had an even higher output of 350 horsepower. As many as 1,217 Espadas were produced from 1968 to 1978 – this model became the most popular Lamborghini around, and remained on top of the manufacturer's best-seller list until the mid-1980s, when production of the Countach was continued. Even so, it's not easy to buy an Espada nowadays – ads for them are pretty rare, and prices vary from USD 100,000 to 200,000.